The Steam Store is an absolute gold mine of games, but obviously, there are rocks strewn all over the place as well. Adding to the rocks is one more weird, creepy, and downright cringe-worthy game called ‘Super Seducer’. Yes, I’m not making that up. The name ‘Super Seducer’ is in itself enough to make most sensible people cringe and never want to look at it again, but the reasons to be weirded out by Super Seducer are much deeper and ingrained into the very game itself. What the game claims to do, is educate men on how to seduce women in different scenarios, because, after all, that’s all that men care about, isn’t it? Even though the entire idea of the game is absurd, the situations the game puts you in, and the kind of options you get to respond to women in the game are creepier and more cringe-y than I can even explain in words. Fortunately, the game does have some connection to reality (because the situations and the things you say in the game are just downright stupid) as the video for the game shows women reacting to the player in horror, calling him disgusting, and one blonde woman actually puts the player in a Judo hold and threatens to tear his arm off. Finally something worth liking in the game, to be honest. 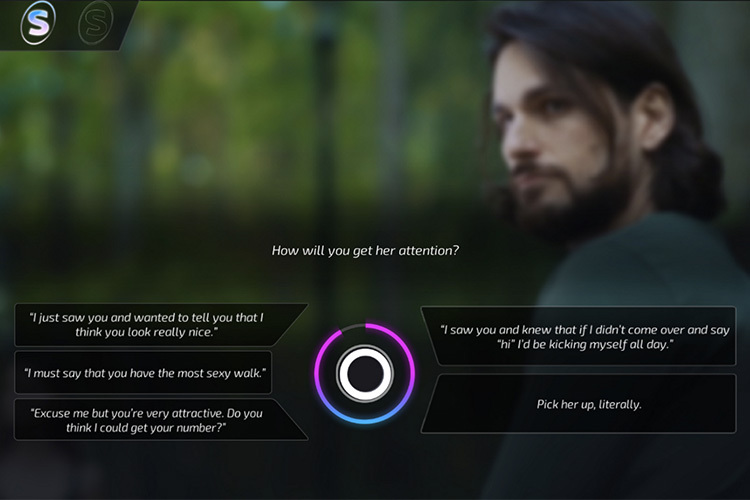 The Full Motion Video game, Super Seducer, launches on March 6th and will be available on Steam to objectify women even more than they already are, and if you are in anyway a sensible person, maybe don’t play this game. It’s not just cringeworthy, it’s just plain wrong. Not to mention the fact that “women aren’t Rubik’s Cubes, solvable with the correct series of intricate twists made while thinking five steps ahead of yourself,” as TNW’s Rachel Kaser mentions in her take on the game. If you still need more reasons to not like the game, or anything it does, show or claim, here’s a fun fact. Super Seducer was on Kickstarter but was kicked off the platform for “inappropriate content, including but not limited to offensive or pornographic material.” It doesn’t take a rocket scientist to figure out why this game should be avoided at all costs, and hopefully kicked off of Steam as well; preferably well before it’s launch date.